Briscoe studied at the Slade School and at Julien’s in Paris. He was a keen sailor and lived aboard his yacht for some years with his first wife and young son. 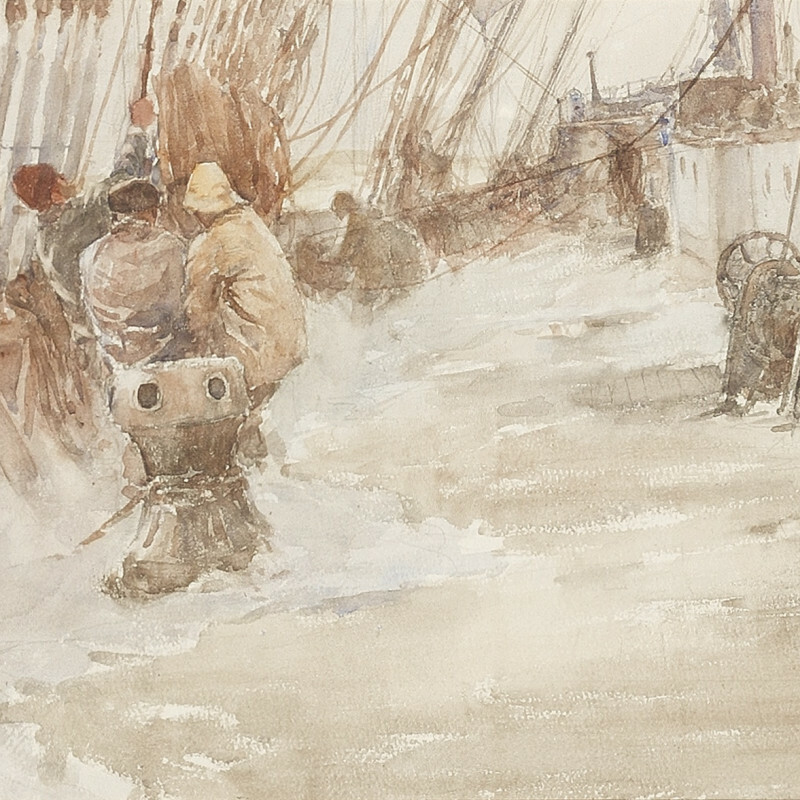 He also sailed in square riggers which were the inspiration for many of his paintings. He was a brilliant etcher as well as being successful in oils and watercolours. He was also a first class cartoonist and his work was illustrated regularly in Yachting Monthly. He exhibited at the Royal Academy.